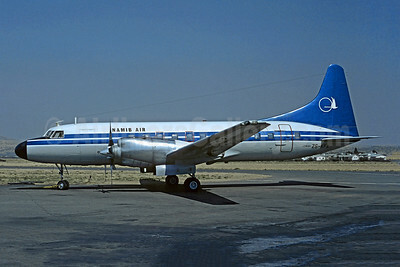 (SW/NMB) (Windhoek) 1989 - 1991 (became Air Namibia). Photos. Framable Color Prints and Posters. Digital Sharp Images. Aviation Gifts. Slide Shows. 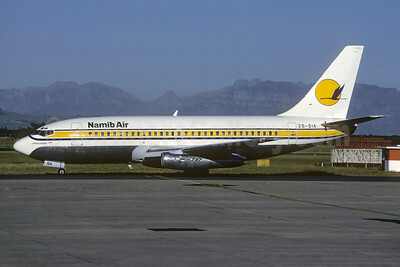 Namib Air Boeing 737-25A V5-ANA (msn 23790) WDH (Christian Volpati Collection). Image: 932060. Namib Air Boeing 737-244 ZS-SIA (msn 22580) WDH (Christian Volpati Collection). Image: 932061. 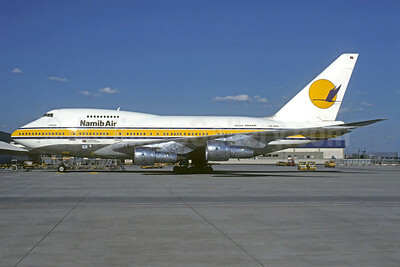 Namib Air Boeing 747SP-44 V5-SPF (msn 21263) FRA (Jacques Guillem Collection). Image: 932062. 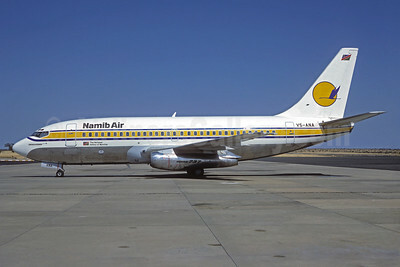 Namib Air Convair 580 ZS-KFA (msn 385) (Suidwes Lugdiens colors) WDH (Christian Volpati Collection). Image: 945575.